Mix all the dough ingredients together. Kneed for 5-10 minutes until you get a smooth dough then cover and let rest for at least 45 minutes. Roll out your dough to 6mm thick and then cut 6" circles until all of the dough is used (dough may need to be re-rolled once or twice). Put 1 tbsp of filling in the center of each circle then fold the circle in half and seal the edges with your fingers or the edge of a fork. 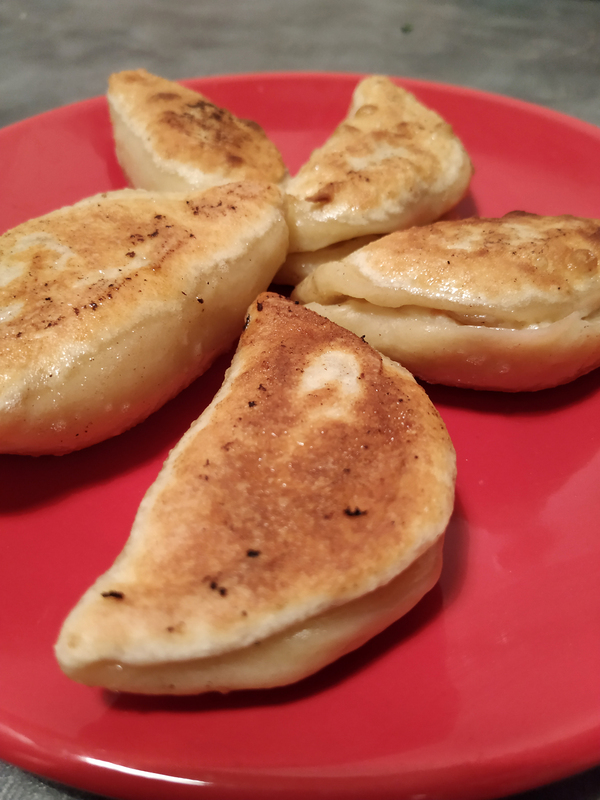 To cook: Place pierogis in a pot of boiling water, boiling until they float to the surface, about 5 minutes. You can eat them plainly boiled with a drizzle of butter OR pan fry with butter for crisper texture.